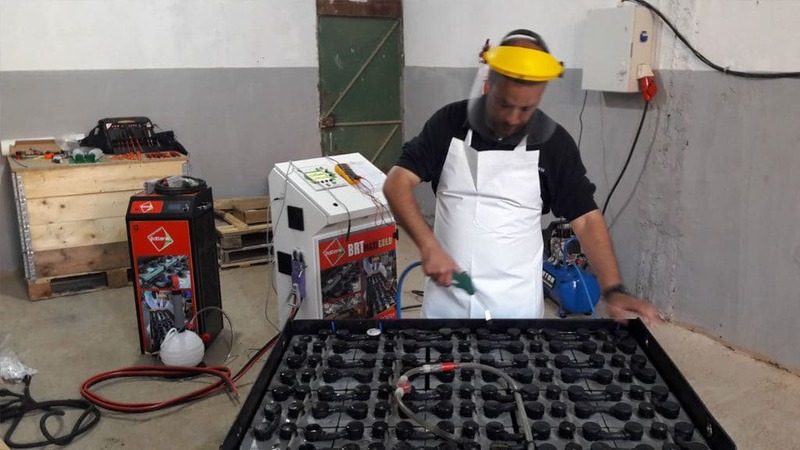 HEXAGON BATTERIES REGENERATION CENTER in the course of the big one! 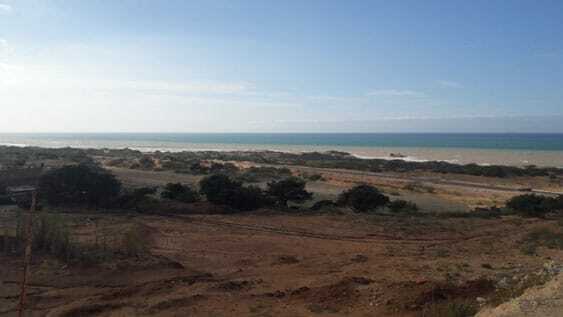 It is in Mostaganem, in western Algeria that the 3rd ALGERIE Battery Plus regeneration center is born. 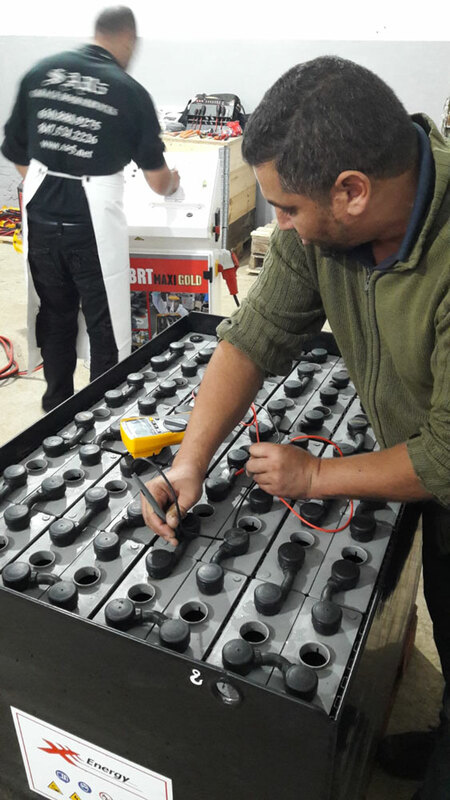 FREE ENERGY led by Ladjel offers a complete service of regeneration of batteries. 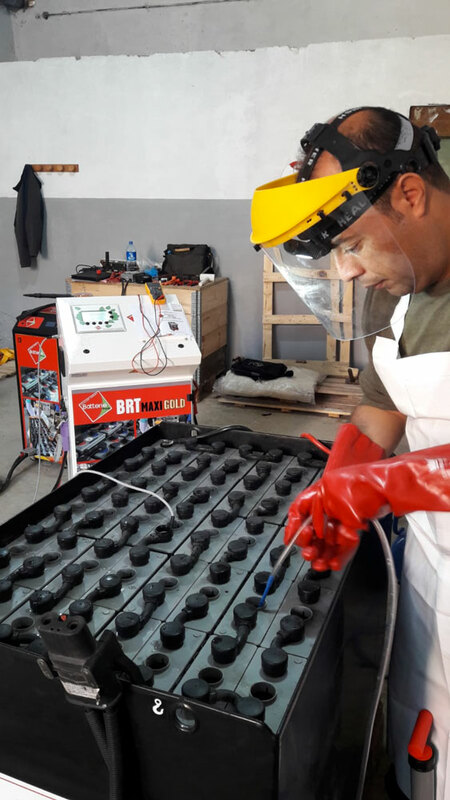 It is equipped with a battery regenerator BRT Maxi Gold model perfectly adapted to all types of batteries and capacity. 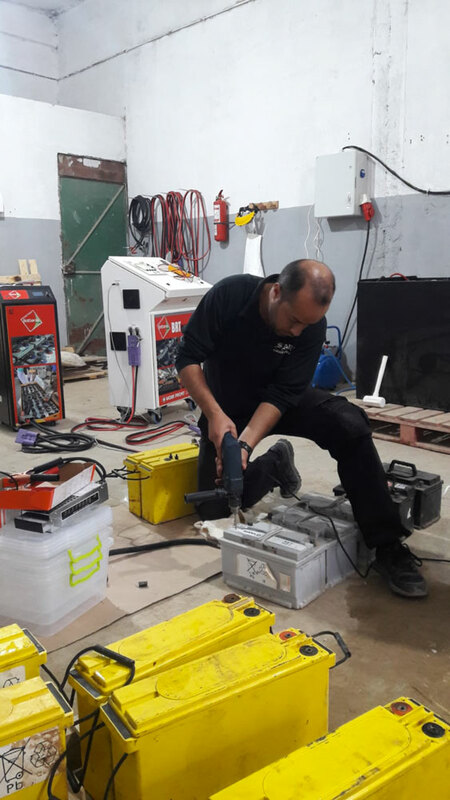 Accompanied by the complete service pack that is to say discharge bench and many accessories and testers to deal with any situation in front of a battery to be treated. 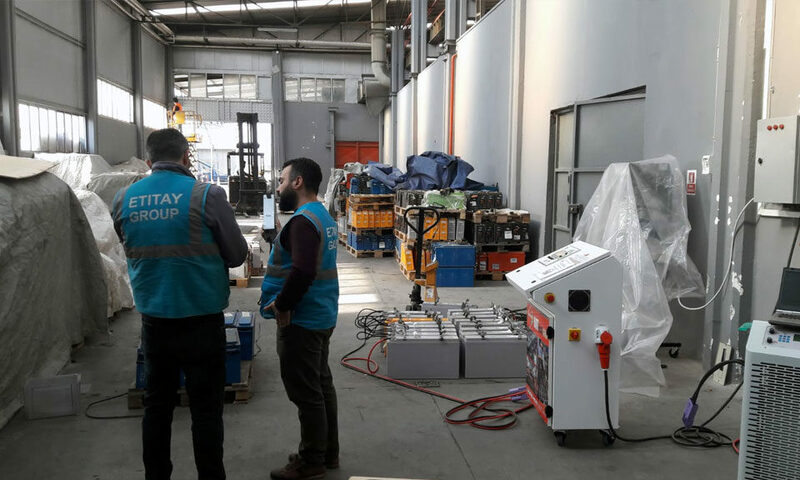 Indeed that is technology Lead or Nickel and whatever the type (open lead, WET, maintenance Free, GEL, AGM) the performances of the regenerator make it possible to treat up to capacities of 3500Ah. Applications range from stationary batteries (from the UPS to larger telephone exchange batteries) to traction batteries (from the golf carts to the largest front forklift truck) to starter battery applications. .
All the specialized tools as well as parts of connectors or other automatic filling systems are in place to offer customers a complete service. 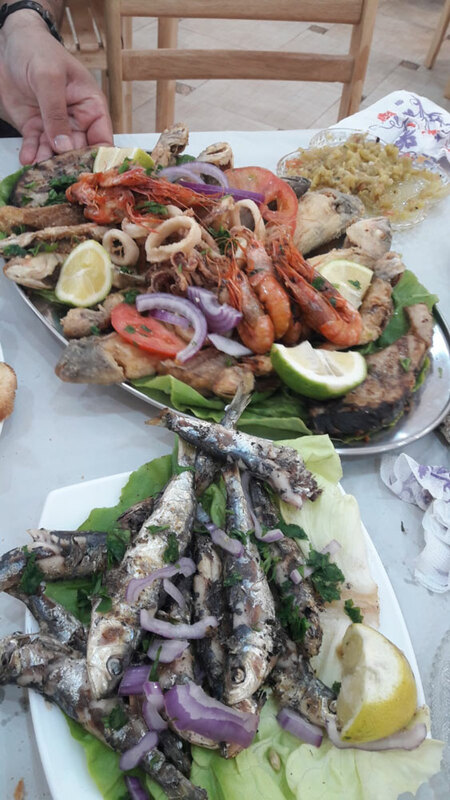 The economic fabric is there to ensure the sustainability of the activity with large oil and gas industrial areas of the Gulf of ORAN consuming stationary batteries. 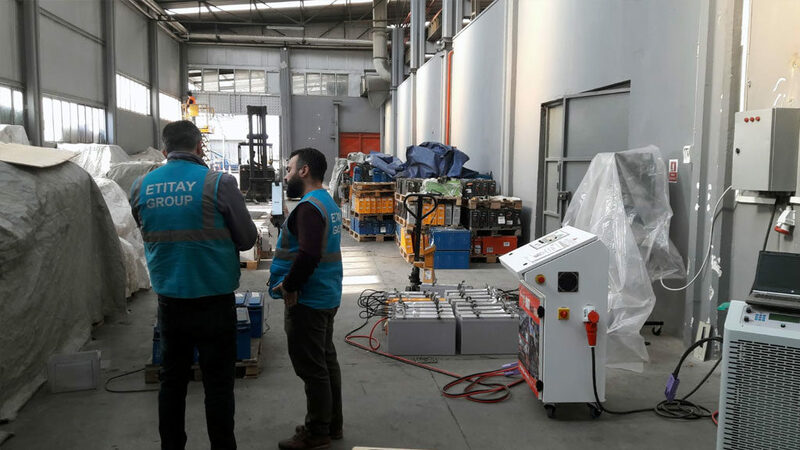 The market for electric forklift trucks is also growing with the standards for handling enclosed buildings that require the use of traction batteries. 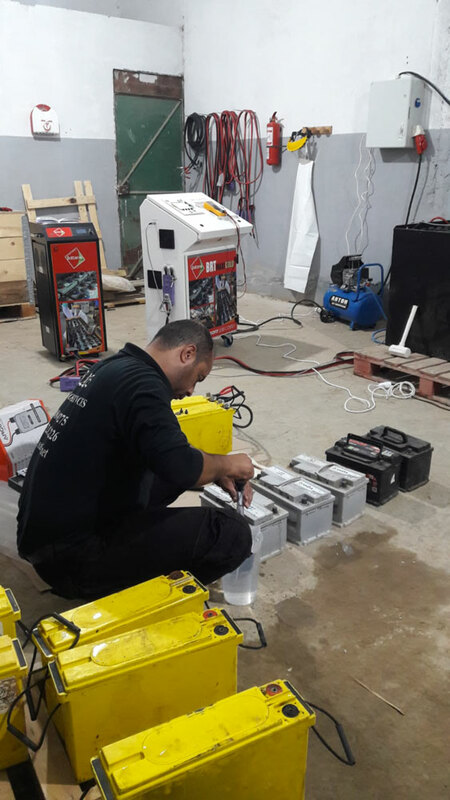 The backup batteries of the Mostaganem tram are already on the line for regeneration on pack. The offer can also be extended to a full battery maintenance service. Welcome to FREE ENERGY, we wish them a great success! A new battery regeneration center at HYDERABAD in INDIA. The BRT10 regenerator regenerates Toyota Prius NiMH batteries.